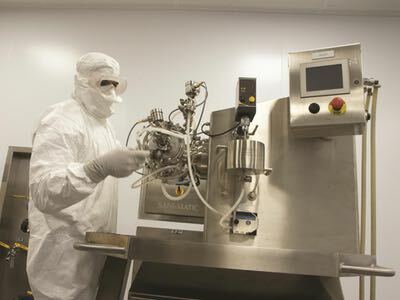 Particle Sciences, Inc (PSI), a Bethlehem, PA, US-based provider of drug development services is expanding its sterile and aseptic manufacturing capacity generally and specifically for nano-milled drug products. The company's cGMP facilities include dedicated high potency suites, ISO 5 areas, six ISO 7/8 suites, attached warehouse, lyophilisation, and full stability and analytic support. According to Mark Mitchnick, CEO at Particle Sciences, in 2014 the company initiated a record number of projects that are headed into the clinic; more than 50% were sterile and 50% required aseptic processing. 'Several years ago, most of clinic bound work was developed at PSI but we have seen a significant uptick in projects that were developed at our clients’ facilities and are now being transferred to us for manufacturing. This is especially true with some of our larger multinational clients,' he said. Mitchnick added that the company is incorporating a great deal of flexibility into this latest expansion by making intelligent use of both fixed and mobile isolator assets and coupling this with its existing ICH-compliant stability programmes and GMP analytic services group. Particle Sciences is an integrated provider of drug development services. The company works with BCS II/III/IV molecules, biologics and highly potent compounds using a variety of technologies including emulsions, gels, micro and nano-particulates, drug/device combination products, solid solutions and others.